Birds are one of my favorite things to draw. They are so active in their antics that you will want to be able to draw them in many different poses, not just the standard from-the-side pose. 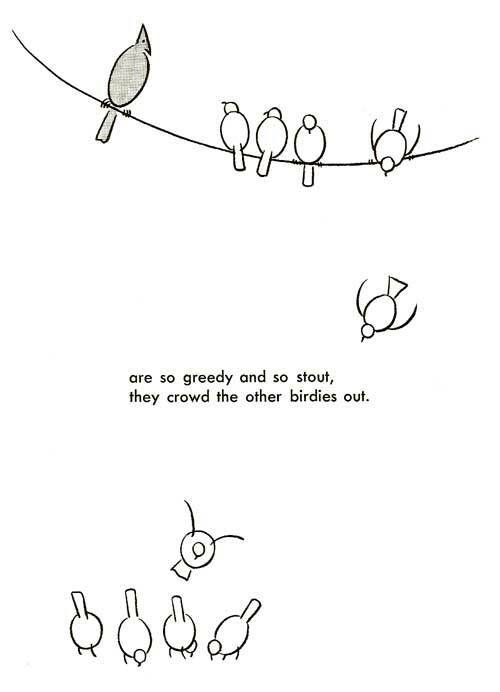 Fortunately, there's an easy way to draw a bird that lets you move them around and draw them from a bunch of different angles. All you need to be able to do is to draw an oval, a small circle, and two arcs for wings. 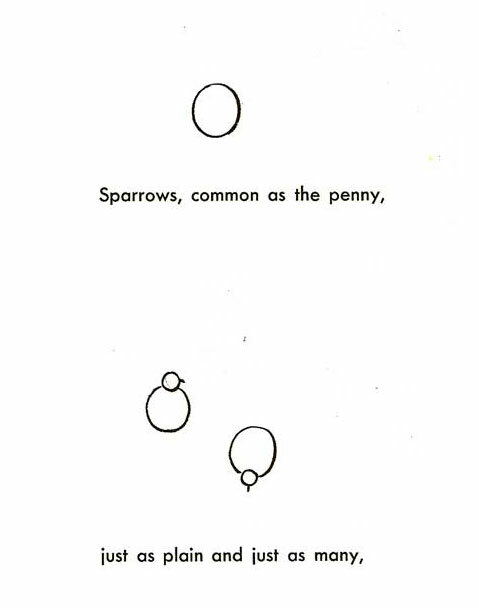 The bird's body is the oval, and the small circle is their head. You can add a beak with a skinny "V" shape, and their eye can be just a heavy black dot. The wings, when folded, can be those arcs I mentioned. But if you want your bird to be flying, you just make the line go from their shoulder and up, and use the same bent line of an arc to represent their wing. Its not the most realistic method... you're drawing almost cartoon birds, but everyone will recognize what you want to show, and sometimes quick little sketches are more pleasing than detailed works. The fast way birds move around is particularly suited to these quick line drawings.